In April, Ground Control had an impressive showing on at Shogun Fights 16 on April 8th. Ground Control Columbia’s Jesse “Relentless” Stirn defeated Lloyd Irving student and UFC veteran Mike “The Hulk” Easton securing an impressive victory… Congratulations Jesse! Ryan McGowan also won by defeating Aubrey Collier in 2:20 of round 1 by referee stoppage from strikes. Tucker Lutz also won by referee stoppage due to strikes in round 3. In addition, James “Binky” Jones fought a tough fight against Francisco Isata loosing by decision. Furthermore, Ground Control competitors also had an impressive showing at the IBJJF NY Spring Open. Congratulations to everyone for bringing home so many metals! JP went solo to the Chicago Open and took 1st in the NOGI division and 2nd the the Gi division. 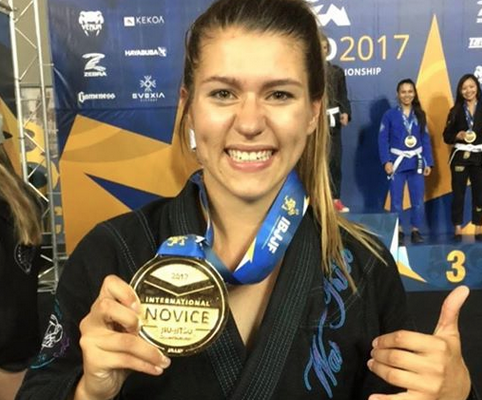 May was a month for Ground Control students to get ready for the IBJJF Worlds. Congratulations to our first world champion, Jordan Wagner, for taking home the gold in the lightweight division. Jordan armbarred Marit Tyssedal in under 40 seconds during the semi finals! Big congratulations to everyone who traveled all the way to Long Beach, California to compete to the IBJJF Worlds. Thank you for representing the academy, you all did an amazing job! Congratulations to all the competitors on a job well done!